If you would like to enter as a team or club (10+ riders), please contact us for a discounted rate. Email [email protected] for more info. LONG ROUTE – registration opens at 7am and you may depart from 7.30am – 8am. The Herefordshire Devil truly is a roll for the soul with three distance options ranging from energetic to epic! Starting out in Leominster, the fully-signed route starts with picture-perfect English villages of half-timbered houses fringed by apple orchards. 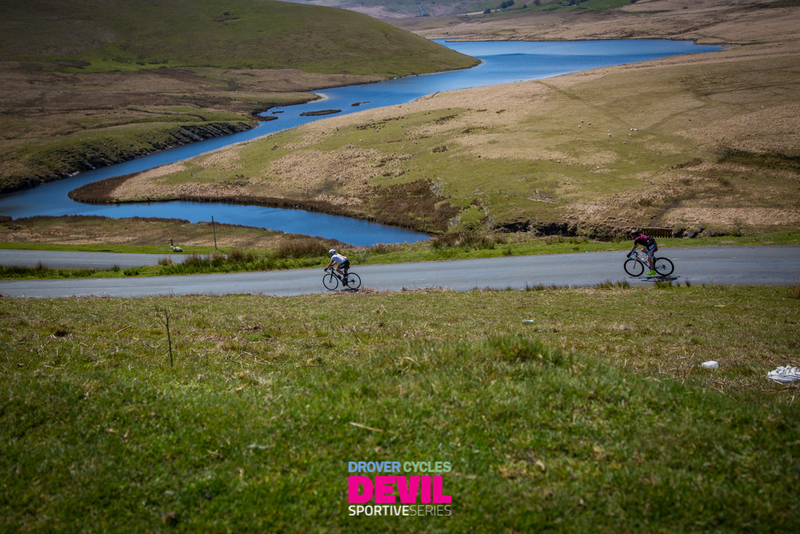 Once you reach the Welsh border get ready for some hills as the route winds westwards along increasingly quiet roads and spectacular scenery. Sheep, skylarks and red kites are your main companions as you near the Elan Valley and enjoy dramatic views of the amazing dams and reservoirs. On the return route follow the bright pink arrows through glorious summer landscapes, dotted with farms, woodland and yet more sheep, back to the English border. This is a challenging and rewarding day in the saddle. Well-stocked feed stations will keep you hydrated and nourished and Drover Cycles friendly team will make sure you and your bike are well looked after. There’s a great goody bag, medal and cake for all participants! There are three routes to choose from, all a challenging and rewarding day out. The long is not for the faint-hearted, expect to be in the saddle for up to 11 hours. We will have one food stop for the short route, two for the medium route, and three for the long route. Please note that minor changes to the route may be necessary so please check back closer to the time. Any questions, please contact us or check out our Frequently Asked Questions page.